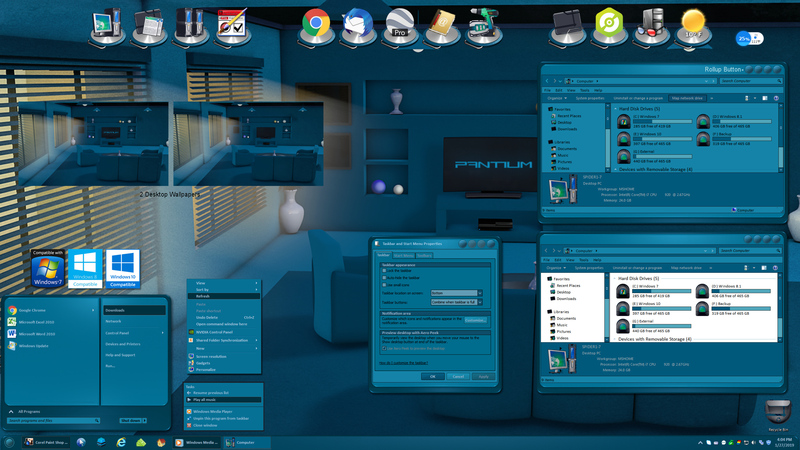 Pantium is a free Windowblinds skin designed for Windows 7, 8 and 10 with dark and light explorer sub-styles. It is easy on the eyes and highly functional. A roll-up button has been integrated into the skin for those who use it, and many thanks again to RedneckDude for his valued assistance in the testing of this skin. The wallpapers shown are included with you download in 1920x1080 and 2560x1440 resolutions. I hope you all enjoy the look of Pantium on your desktop! It's awesome....thank you so much. Cant' go wrong with blue Tom, nice job. Nice skin, Tom. Love the blue/green. Love it! Thank you Tom. Excellent work Tom.....love the colors too! Nice.. thanks for this great addition, Tom! ..... .... ... .. .! Already lots of dark skins on the site taxi801. I like this one too. Nice!